Namecheap's new website builder is a cPanel tool that was developed in cooperation with our partner allows you to easily create an entire website using a drag-and-drop editor and without knowing any code or installing special software. 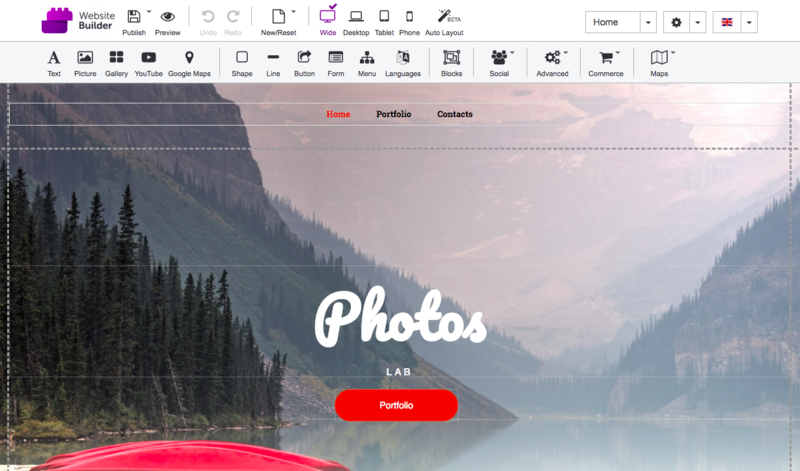 Because of its visual design options and ease of navigation, using Website Builder removes the stress of having to learn a new program or paying someone else to build your new business website. 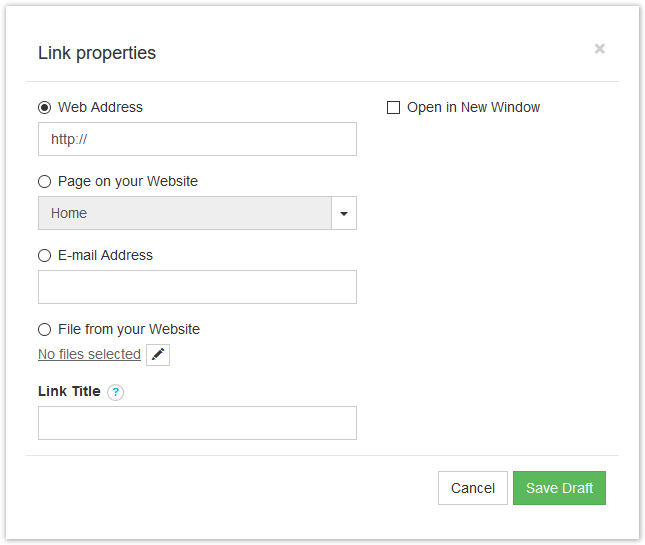 With Website Builder, you simply drag, drop, click, and publish all of your content. 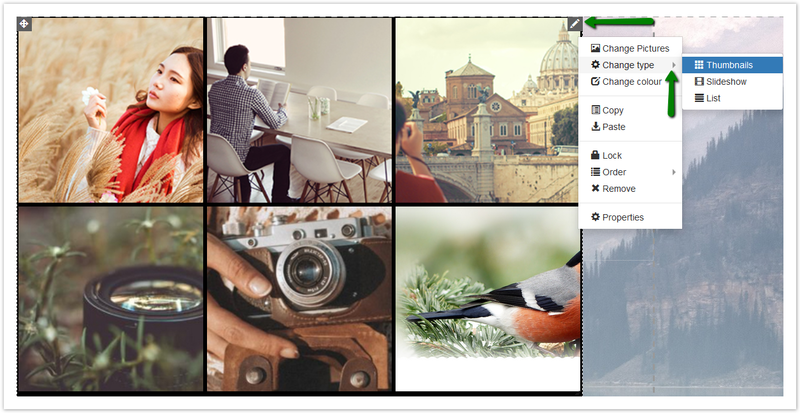 When you start, you'll select a theme from a huge variety of templates. 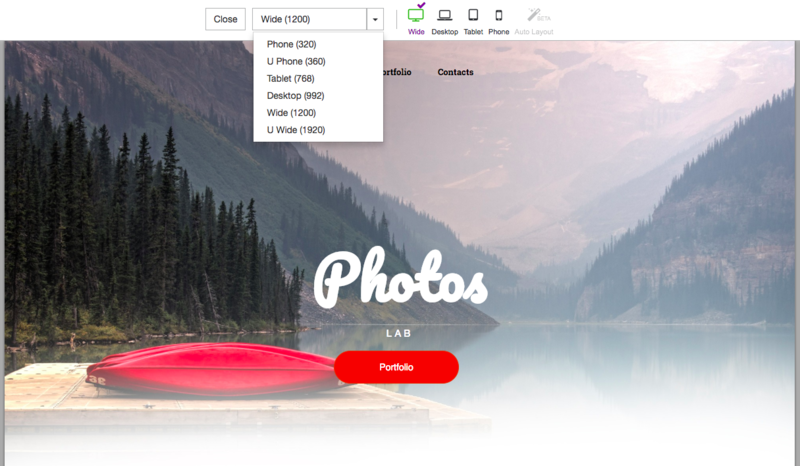 From there you'll be able to add pictures, contact forms, buttons and text to your website. If you'll be selling products or taking online payments, there are also e-commerce tools to help you add a store, shopping cart or configure a payment processor. Website Builder also allows you to add Google Analytics and Maps, develop pages in several languages simultaneously and integrate social media. 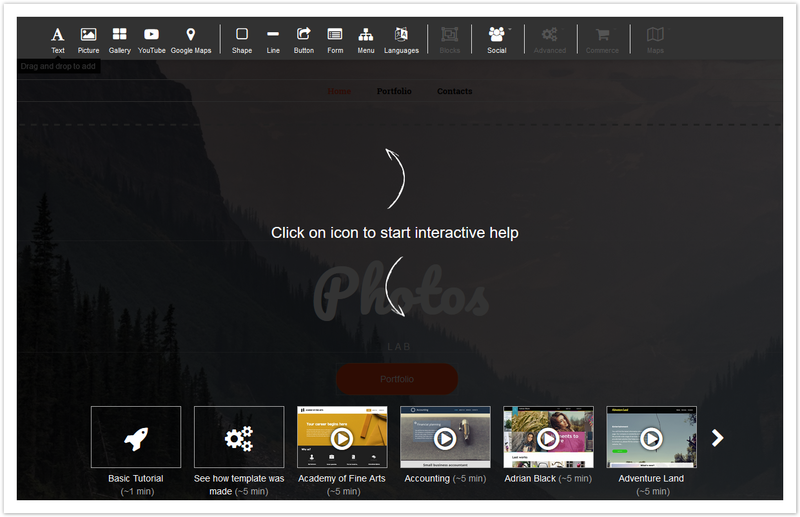 Website Builder includes short built-in interactive video tutorials for each option and tool. Have a look at the tutorials by clicking the icon in bottom right corner. On the next page you can watch videos about Website Builder’s basic settings or learn how the current template was created. 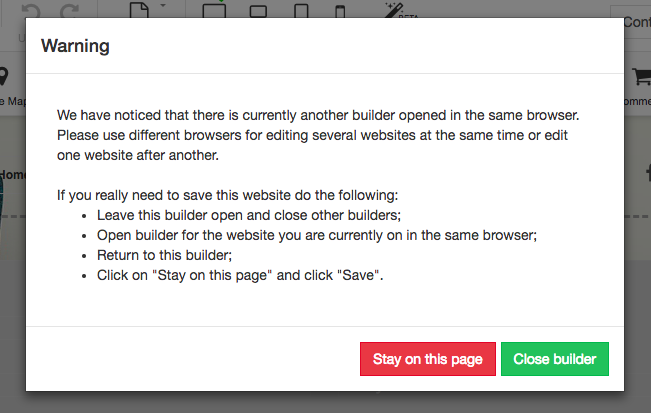 Keep reading to learn more about how to build a website with Website Builder. In order to start working with Website Builder, log into your hosting control panel (cPanel). Your login details are different to your Namecheap account login and were sent in your Hosting Welcome Guide. If you don’t have this to hand, you can contact customer support who will resend the email to you or reset your password. You can access your cPanel from http://yourdomain.tld/cpanel or https://servername:2083 (check what server your account is hosted on here). In the next menu simply click on a domain or subdomain for your new website. Then, you will be redirected to http://sitebuilder1.web-hosting.com/ to select a template. Guide - redirects you to a video guide to give handy tips on how to use different options to create your site in the template. You can pause the video at any time or fast forward and even slow down the speed so you don't miss anything! While this tool 'creates' the template in real time, you can change speed and stop this process at any moment and continue editing the website from the point where that tool stopped. The Publish menu has several options. You can save the site and publish it to the Internet, save a draft of your site without publishing it, or backup/restore the site. An automatic backup is created every 10 minutes. Please note, only the two most recent backups will be available if you need to restore your site. If you'd like to create a backup of your website on your local device, you can choose the backup/restore option and download the backup. The backup file will be downloaded in the special Website Builder file format. Similar steps should be taken to restore the website if necessary. 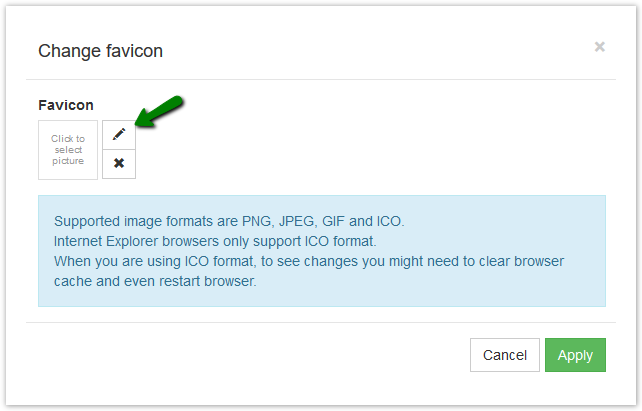 Restore option allows you to go back to the previous saved version of your website. You can either choose an auto-backup version or a local file. The Undo/Redo buttons can be used to undo the most recent changes or restore them. The New/Reset menu allows you to change the template or reset the current template to the original settings. Keep in mind that various devices have different screen resolutions. 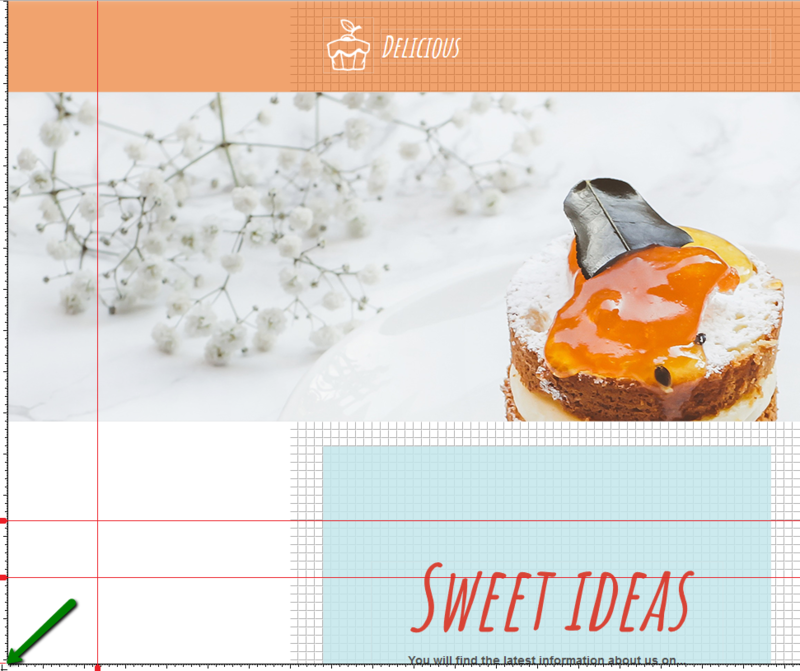 If you design the website for 'Wide' view, for example, it will display differently under the 'Desktop' view, as the 'Desktop' view has a smaller resolution. You can use view settings to optimize design for different devices. There is also a menu option for the beta version of Auto Layout. It dynamically calculates the size and position of all the views in your view hierarchy, based on constraints placed on those views and makes your website responsive on different devices automatically. In case you want to work with it, just click on it to apply it to your template. The SEO menu has General and Analytics tabs. This is where you can get your website out there so people can find it when they type in key words in the search bar. The title is critical to giving users a quick insight into the page content and why it's relevant to what they are looking for. The description is a shortsummary of the web page's content. Search engines show this description in search results under your headline. Keywords are words or phrases people would type during online search when looking for the subject of the web page, so your website appears in the relevant searches. If you would like to change the default URL generated for the page, you can use the User friendly URL option. You can set an image that will be used by social media such as Facebook Open Graph and Twitter Cards when the page is liked or shared. For example, if you have a share Facebook button on the webpage and someone clicks it, a post is generated and posted on the feed of that person. With an image more people are likely to like/share the post further. The Analytics tab allows you to add a Google Analytics Tracking ID and Google Webmaster Tools Code to verify your site with Google. The link for Sitemap URL is also located here. 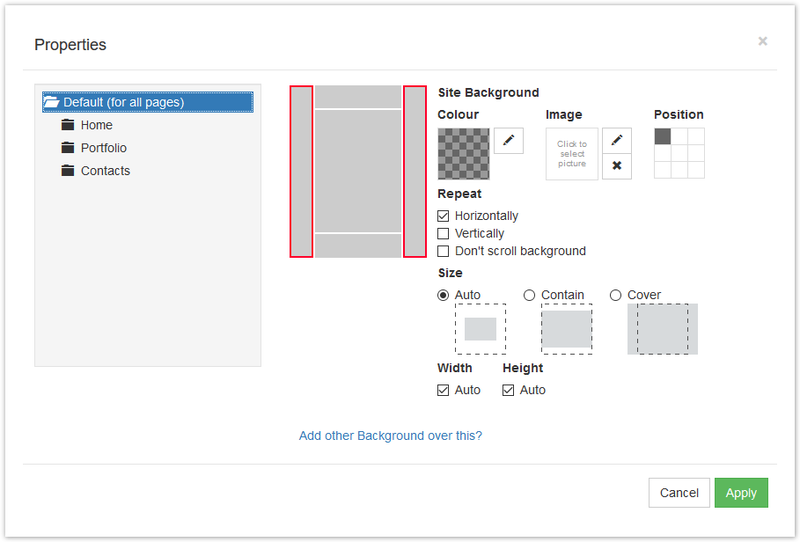 The Background menu has different options to modify your website's background color or image. 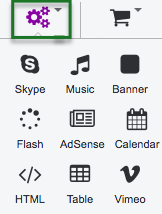 You can choose one option to be displayed on all pages, or have different backgrounds on different pages. 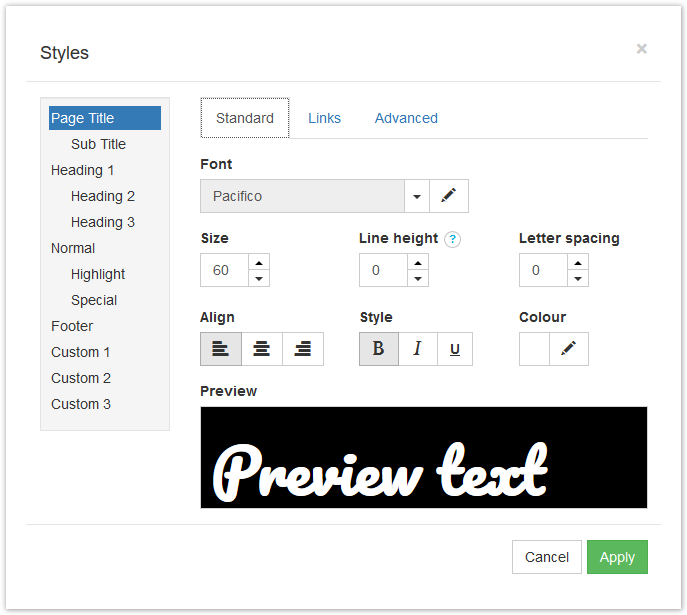 NOTE: All fonts and header designs were created by professional template designers and can be changed only using the Styles menu. publish site with forced https (this option is enabled by default). SSL certificate should be installed to use this option. We offer free year of Positive SSL for all new Shared Hosting accounts and newly added domain names. Enabling the Landing option allows scrolling down through the whole menus on the website. 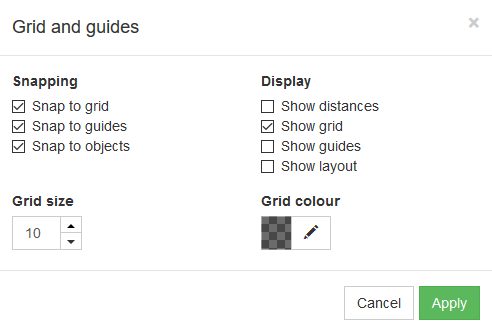 The Snapping option allows you to align objects exactly along the gridlines/guides/objects. When you get close to the gridline/guide/object, your object will jump to align with the line and you don’t have to do it by eye. With Show distances you will be able to check the exact distance between different objects of the webpage. The Show guides option helps to align text and graphic objects with the help of ruler guides (straight horizontal or vertical lines). To use some of the options you need to click on it or 'drag and drop'. Then, select the style of the chosen option. If you wish to use some another style, click on the pencil icon or double-click on the item to open the editing menu. More details on each option below. You can drag and drop the Text option or just click on it to add some text to the page and choose the style of the text. Click the Pencil icon >> Edit text option or double-click on the text itself to change formatting and text style. 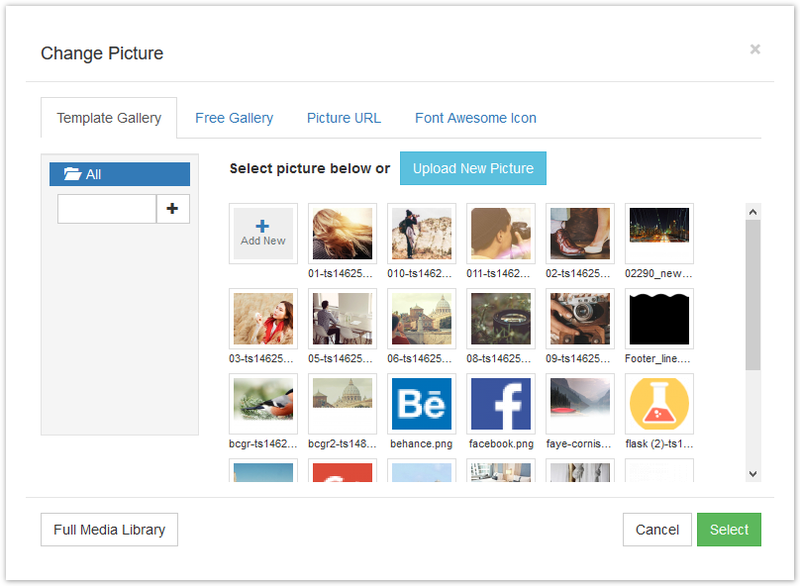 NOTE: the default maximum file size is 100 MB, but you can increase it within the PHP Selector or php.ini. All the uploaded images will be compressed to 3MB. The Media button allows you to embed a YouTube video, Vimeo video or use a Music Player. Choose then type of the player and click on Add. Then, click the Pencil icon >> Properties or double-click on the video to specify a video URL or ID and configuring additional video settings (like display order, size, position, player controls, etc). It is possible to add Google Maps, Yandex, Bing Maps. You can specify coordinates or a physical address to be shown on the map. Select Zoom level and drag marker to set your location. If you would like to use Bing Maps, you will need to get an API Key from Bing. In case you wish to add some basic graphics, you can use the Shape and Line menus and select the available options. Alternatively, create your own shape using the Pencil icon. 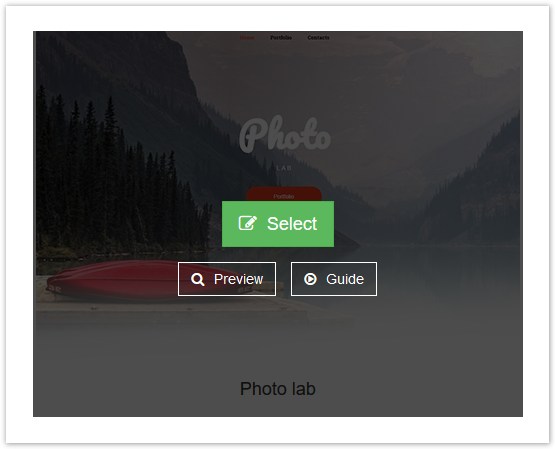 You can also create different buttons for the website using the Button feature and trying items created previously. If you wish to change the button text, URL, and format, double-click on it. 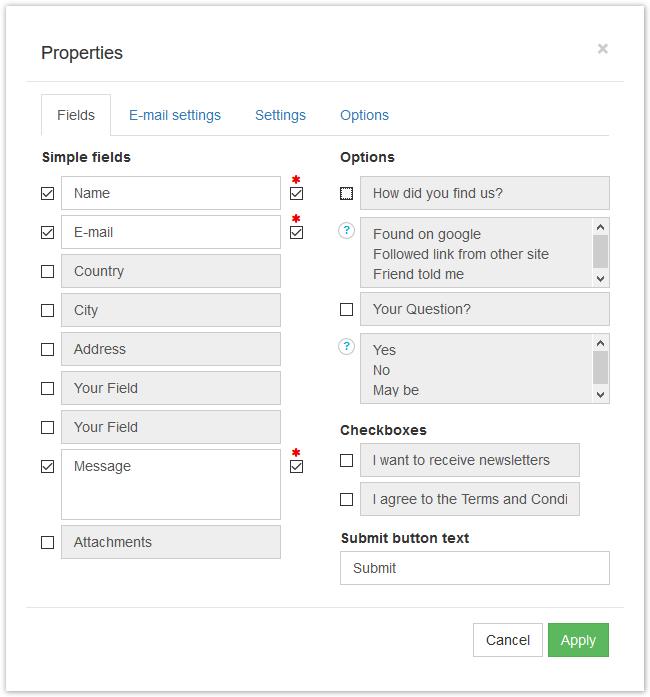 The Form menu provides the templates of common contact forms. With the help of it. 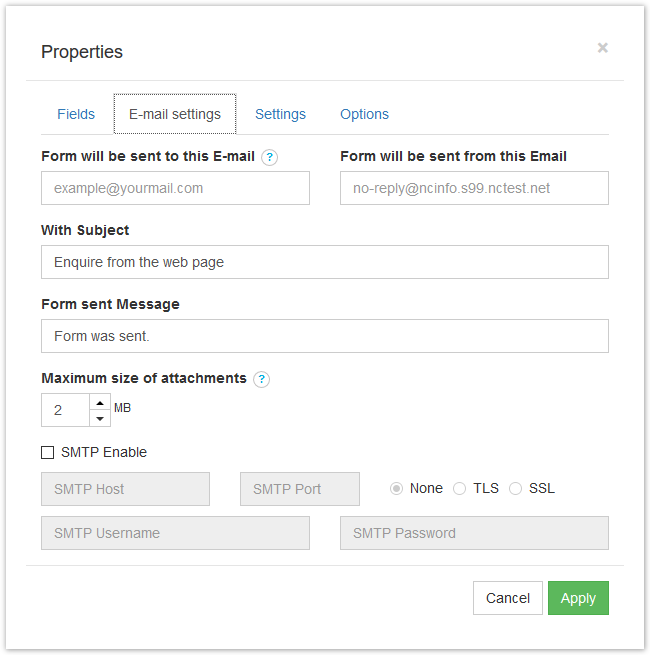 you can create a contact form with a built-in PHP mailer as well as SMTP authentication. In Simple fields you can choose default fields or set your own. It's also possible to mark lines as Required. The Options section creates questions with drop-down menus. You can also use the Checkboxes option to get the submitter's consent for a specific condition. 1. Form will be sent to this E-mail - You must specify the email address that will receive emails from the contact form. It is possible to enter several emails separated by semicolons. SMTP Port: 465 for SSL encryption and 587 for TLS option. If you want to use third-party email accounts (like gmail, yahoo, etc) to send emails from or have any issues with the form, contact our support so we can open SMTP port for your account. 3. 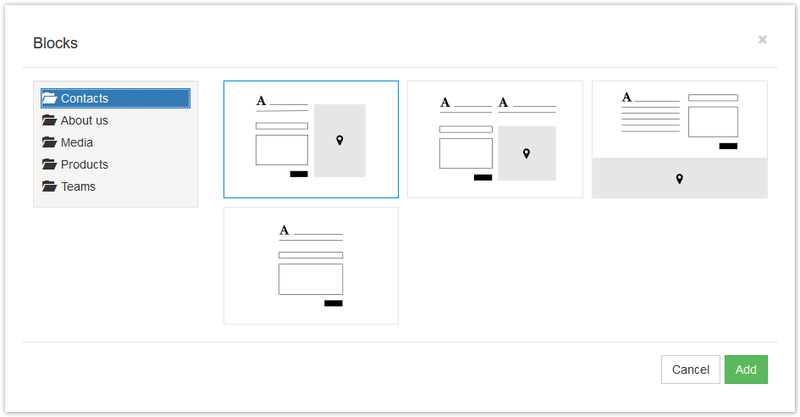 The maximum size of attachments the users will be able to send through the form can be set to a specific number (like 2MB) or changed according to maximum allowed size for uploads for your account or maximum size your email server will accept in a message (whichever is smaller). 4. The Form menu also allows enabling Google reCAPTCHA in the Settings tab. CAPTCHAs allow you to prevent many forms of automated spam. 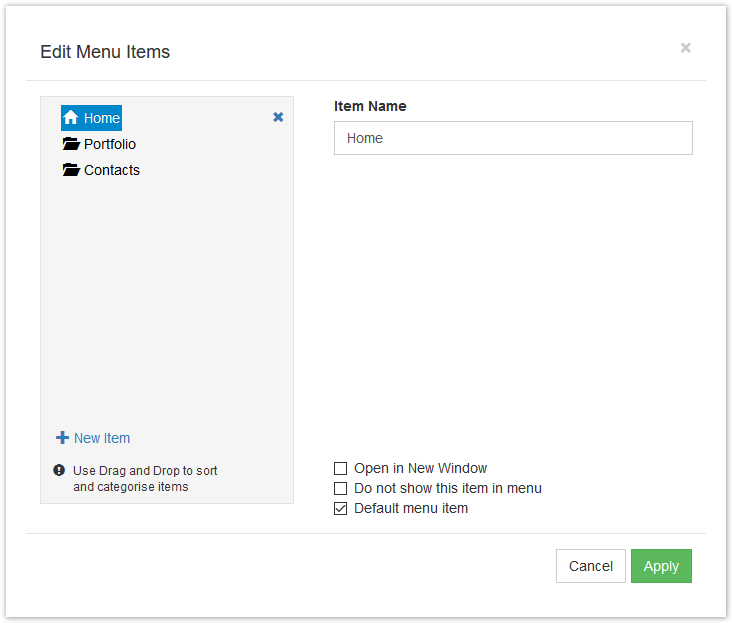 The Menu feature helps you to manage existing menus and create additional ones by choosing available templates. 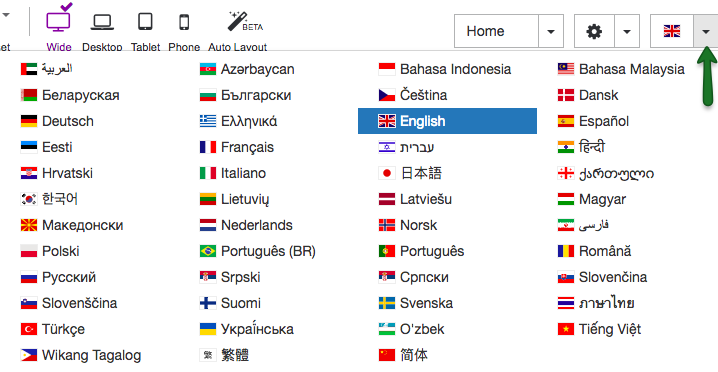 If the website is targeted to a multilingual audience, the Languages menu will be helpful. It creates menus that allow switching between languages and allows you to create several versions of the website in the same interface. 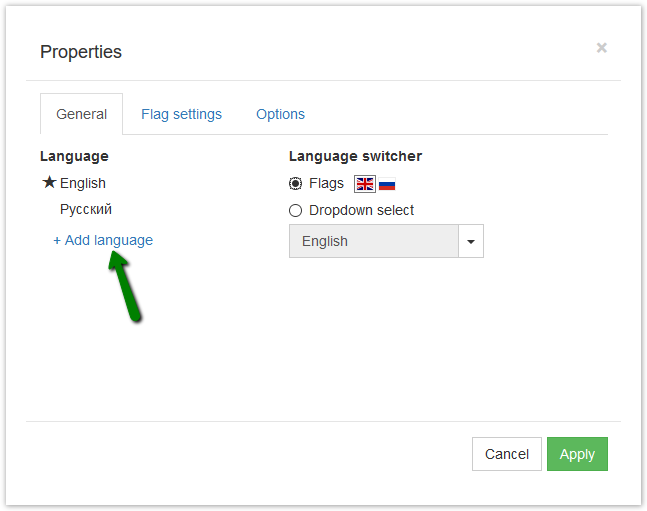 NOTE: You will need to translate the website content manually - the Languages option doesn't actually perform translation on the text. 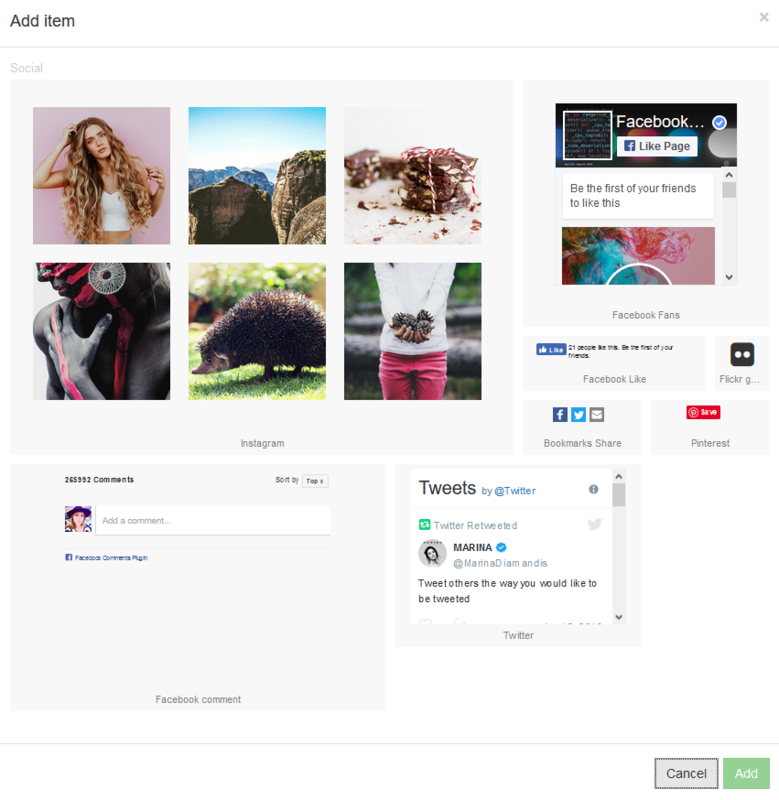 The Social tab can help you to add links to your Instagram, Facebook, Flickr, Pinterest,and Twitter social media accounts. insert your own HTML code to the website. You can add your own Store, Store Cart or configure a payment processor to receive payments. If you want to configure several payment systems, you need to add Store Cart and open Properties. 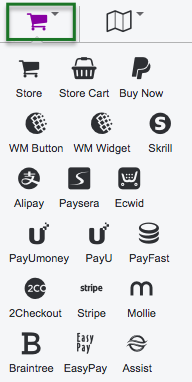 Different payment gateways (payment processors) will be listed in the General tab. More details can be checked on the official websites of the payment processing companies. PayPal requires an email address to make the payment system work. 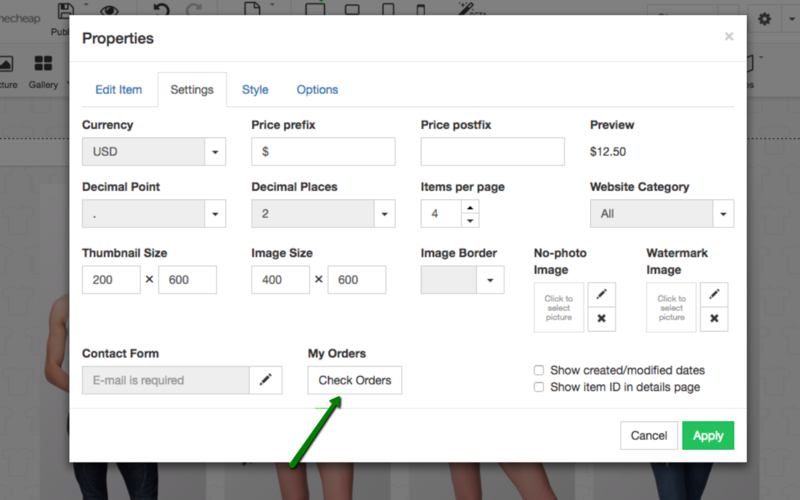 During the checkout process, your customers will have opportunity to enter their billing and shipping details, and the PayPal Buy Now button will be available in Payment methods. However, other payment processors may need additional details to process payments. Please check with the individual companies for more information. You can check your website's files in cPanel >> Files section >> File Manager menu. Website Builder creates a folder called /ncsitebuilder, and you can locate .htaccess, index.php, and web.config files in the root directory of the domain. You can find more information on File Manager here.